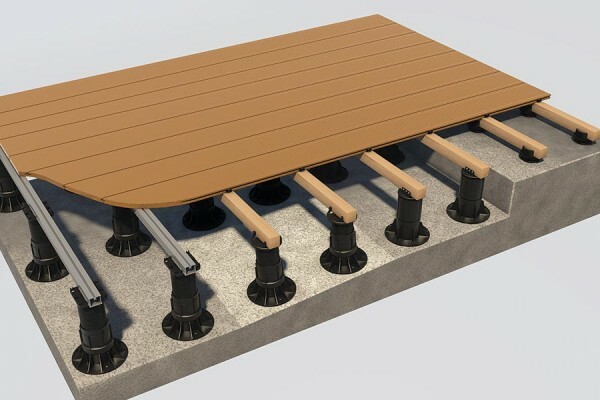 The Arbordeck support system is a high performing substructure system which is a long-lasting and durable alternative to timber. 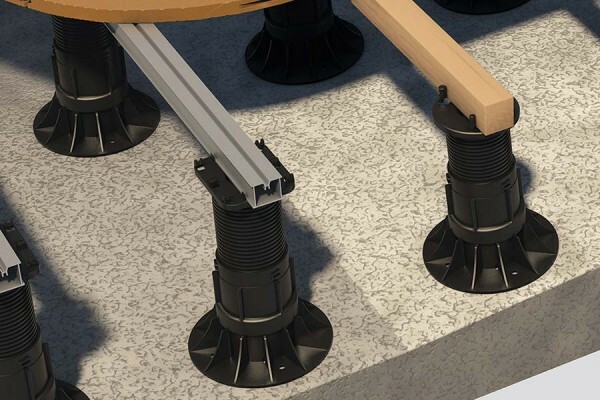 The system includes aluminium joists and connectors and self-levelling adjustable pedestals which allow for quick and easy deck building. They are built to last and can help extend the lifespan of your decking by preventing rot underneath. It is suitable for use with all conventional decking systems and the wide range of support products creates endless options to transform your outdoor space, big or small. the system is supported by a 25-year limited warranty giving you peace of mind for your entire deck. Ideal for use in more complex installations like: roof areas, terraces and balconies, walkways and wheelchair access ramps, patio overlays and renovations. Always completely straight, will not warp, twist, splinter or crack. Lighter than traditional methods with greater strength to size ratio. superior longevity. Decking can be laid onto the pedestals without having to manually adjust slope correction. 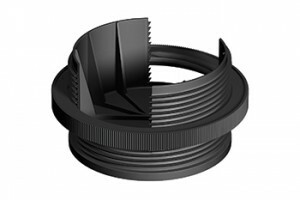 Provides slope correction up to 10.5%/6°. 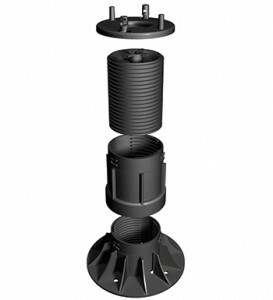 Suitable for use with aluminium or timber joists. The perfect solution for use when decking requires elevating off the ground by a minimal height. 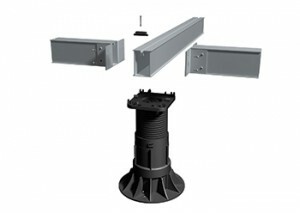 Suitable for use with aluminium or timber joists.